Physalis Alkekengi, the famous orange lampion plant, belongs to the nightshade family (Solanaceae). This family is famous for its vegetables, such as potato, pepper, and tomato. The plant originally comes from Southern Europe, this is funny because the other 75 species belonging to this family come from Central and South America. The name Physalis means bladder, this is an apparent reference to the shapes of the lampions. In Holland the plant has the nickname ‘Jewish cherry’, also this name is a reference to the shape of the lampions. This would remind people of the headwear of Jews in the Middle Ages. Next, to the lampions, the plant also blooms small white flowers. But in comparison with the characteristic lampions, the flowers cannot compare beauty-wise. Be aware, these little flowers are poisonous for pets. On the other hand, the berry in the lampion is eatable. In the Middle Ages, people pressed the berries, in combination with grapes, into wine. This wine was drunk as medicine for bladder and kidney disease. Physalis is available as a cut flower from the beginning of August to the end of October. At the start of the season, the lampion can still be green, because they color from green to bright orange. The famous branches are a sign of the beginning of fall in the flower world. The branches with lampions are offered in two ways; with and without green leaves. It’s also possible to order loose lampions. Physalis cannot be missed in a fall bouquet and is easy to combine with other flowers or branches. 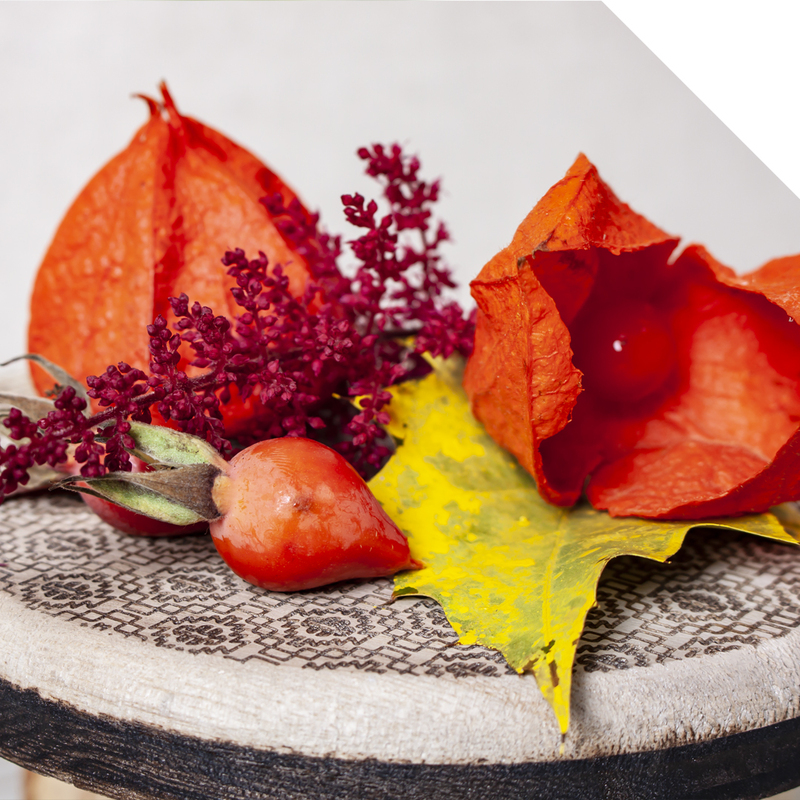 For an instant fall look, mix Physalis with Snowberries, Rosehip, and Quercus. Do you want to create a rustic looking bouquet? For that result combine Physalis with Antirrhinum and Delphinium. Or go for a more classic look with Roses, pink Bouvardia, and Gloriosa. Also, only some branches with lampion in a glass vase is a beautiful view. 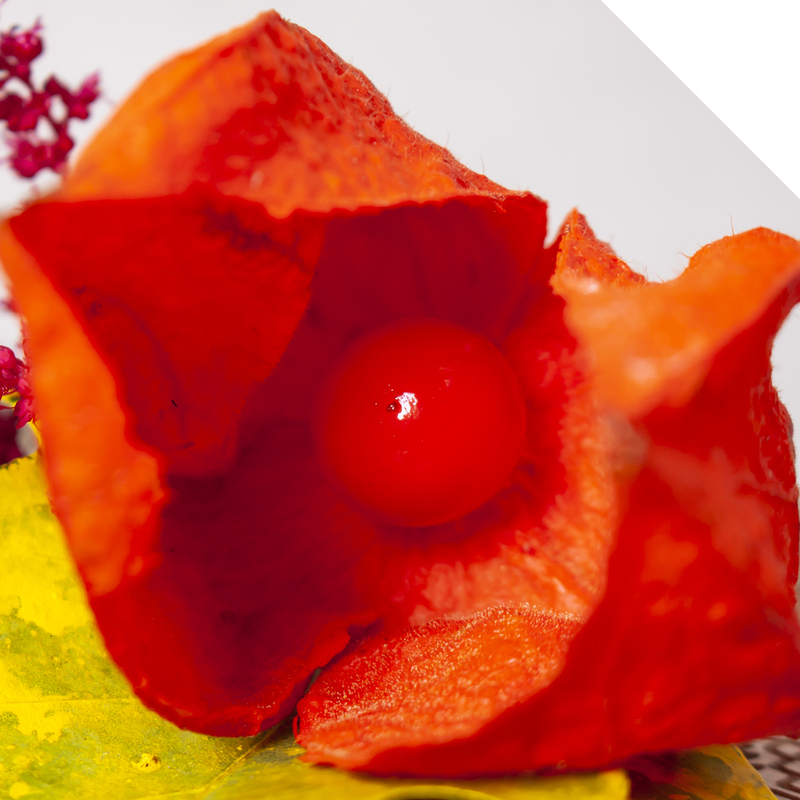 One thing for sure, if you add Physalis to your bouquet, you add a fantastic distinct product! If you receive Physalis put them on water with a conditioner. Make sure that no leaves are hanging in the water. If you want you can also dry Physalis, then you can use the branches in a dry bouquet.